AkzoNobel N.V., the Dutch decorative paints, performance coatings and specialty chemicals multinational, met targets in the third quarter of 2014, but warned on Tuesday that global growth will slow. Even so, it has left its 2015 targets unchanged. The Amsterdam-based company sees growth slowing in all major markets globally except the US. The United States, at €3 billion, is the company’s largest market. Lower energy prices in North America boosted business activity. 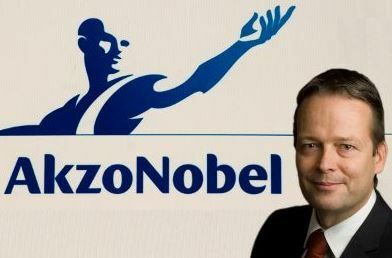 AkzoNobel laid off over 2,000 workers in the third quarter as part of a restructuring plan. Its EBITDA (earnings before interest, tax, depreciation and amortization) came in at €487 million, while sales fell 2% to €3.69 billion. Results were marginally below analysts’ expectations. CEO Ton Büchner described the company’s Q3 performance as a solid one, in spite of continued global economic uncertainty. Return on sales improved during the quarter to 9.1%, the fifth successive quarter with a positive posting. The business environment will get tougher everywhere except in the US, Ton Büchner said. The company developed coatings technology for the first ever fully recyclable and compostable paper cup. Decorative Paints: sales were the same as in the third quarter of 2013. While the business environment remained challenging, the company said volumes increased in Asia. Revenue fell compared to 2013, partly because of the divestment of Building Adhesives and price discounts in Germany. Lower restructuring expenses helped raise operating income to a higher level than in 2013. Specialty Chemicals: sales were about the same as last year, with growth being undermined by some planned stoppages in the chain, as well as a strike in Rotterdam. Profitability increased despite the economic slowdown, which was helped by the cost savings and restructuring activities, as well as lower-than-expected restructuring costs. Mr. Büchner said the restructuring will carry on for the rest of this year, but the rate of job-cutting will slow down.